The intervertebral discs are extremely important in supporting the vertebrae, maintaining the integrity and the flexibility of the whole spine, and preserving the adequate position of each spinal vertebrae. 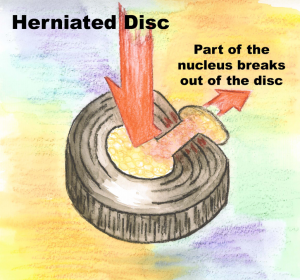 The discs are made from elastic connective tissue, which is why they are able to absorb the force impacts exerted on the spine during abrupt body movements and lifting weights. Unfortunately, Pain Management Doctors see numerous patients with herniated or bulging discs that are caused by an incorrect lifestyle, improperly executed physical exercise or lifting heavy objects at work. How are herniated discs dangerous for your health and spinal integrity? Pain management doctors are treating individuals with recurring back pain on a regular basis. Besides the physical therapy that may be implemented when mild alterations of spinal architecture are identified, drugs delivered in the form of epidural injections or surgical procedures may be necessary to correct more severe spinal problems such as herniated discs. 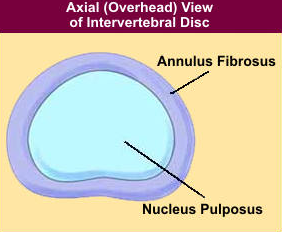 An intervertebral disc that is not adequately positioned between two neighboring vertebrae may be displaced to the side and lose its stabilization function. What can happen next is what determines numerous patients to see Pain Management Doctors for evaluation of their spinal problems. Medical studies suggest that the bulging disc may create an instability in the local vertebrae, which may become misaligned and the spinal nerves that are located nearby can become compressed. This nerve root compression due to a herniated disc is what causes the bothersome pain in the back, which may require chiropractic correction, anti-inflammatory drug use for a limited amount of time or surgical interventions. Herniated discs can be prevented if one dedicates some time every day to observe his or her posture during work or leisure activities. It is important to make sure that the shoulders are always drawn back rather than rolled forward, which allows for a correct, properly aligned position of the spine throughout the day. How are Herniated or Bulging Discs Treated in the Pain Management Clinic? The treatment of herniated discs depends on the level of misalignment or displacement of the vertebrae. Usually, a physician will perform an X-ray or a more sophisticated imaging procedure, such as an MRI, to determine the abnormality level and the precise anatomical location of the bulging disc. The pain intensity experienced by the patient is also taken into consideration when formulating a special spinal treatment or rehabilitation strategy. For bulging discs that are not severely displaced, physical therapy can be effectively employed to restore the spinal integrity through exercise, precisely targeted massage or spinal manipulations. For more severe abnormalities, such as herniated discs that compress on the adjacent nerve roots, which is usually where the intense pain comes from, steroid injections that diminish the inflammation or surgery may be recommended by a specialist in back pain. It is important to come to a back pain clinic as soon as possible because continuing your daily routines with a bulging disc may aggravate its displacement and may cause a more substantial herniation from the normal position. The instability created in the spine can further aggravate the pain and the chances of a successful recovery are diminished if you delay a visit to the doctor.